WHAT MAKES GOLD A PRECIOUS METAL? This is a classification of specific metals that are considered rare and have a higher economic value compared to other metals. There are five main precious metals openly traded on various exchanges, gold is the biggest market. Gold is sometimes referred to as monetary metals as it has historical uses as a currency and is seen as a store of value. While relatively small, gold does also have an industrial component because it is less reactive, a good conductor, highly malleable and doesn’t corrode. The spot gold price refers to the price of gold for immediate delivery. Transactions for bullion coins are almost always priced using the spot price as a basis. The spot gold market is trading very close to 24 hours a day as there is almost always a location somewhere in the world that is actively taking orders for gold transactions. New York, London, Sydney, Hong Kong, Tokyo, and Zurich are where most of the trading activity takes place. Whenever bullion dealers in any of these cities are active, we indicate this on our website with the message “Spot Market is Open”. For the high and low values, we are showing the lowest bid and the highest ask of the day. The gold futures market is one of a number of commodity futures, wherein contracts are entered into, agreeing to buy or sell gold at a certain price at a specified future date. Gold futures are used both as a way for gold producers and market makers to hedge their products against fluctuations in the market, and as a way for speculators to make money off of those same movements in the market. A precious metals futures contract is a legally binding agreement for delivery of a metal in the future at an agreed-upon price. The contracts are standardized by a futures exchange as to quantity, quality, time and place of delivery. Only the price is variable. Hedgers use these contracts as a way to manage their price risk on an expected purchase or sale of the physical metal. They also provide speculators with an opportunity to participate in the markets by lodging exchange required margin. There are two different positions that can be taken: A long (buy) position is an obligation to accept delivery of the physical metal, while a short (sell) position is the obligation to make delivery. The great majority of futures contracts are offset prior to the delivery date. For example, this occurs when an investor with a long position sells that position prior to delivery notice. There is usually a difference between the spot price of gold and the future price. The future price, which we also display on this page, is used for futures contracts and represents the price to be paid on the date of a delivery of gold in the future. In normal markets, the futures price for gold is higher than the spot. The difference is determined by the number of days to the delivery contract date, prevailing interest rates, and the strength of the market demand for immediate physical delivery. The difference between the spot price and the future price, when expressed as an annual percentage rate is known as the “forward rate”. This is the change in the price of the metal from the previous close, which is not necessarily the previous day. Weekdays from 6:00 PM NY time until midnight the previous close is from the current day. Here’s why: The time the gold market stops trading in New York on weekdays is for a 60 min period, from 5:00 PM New York time until 6:00 PM. We use the last quote at 5:00 PM as the close of that given day. Change is always the difference between the current price and the price at 5:00pm. For example: Gold last traded at $1,200 at 5:00 PM on January 17. If it is January 17 at 6:30 PM and the price is $1,202, we will show a change of +2.00. If it is January 18 at 5:00 PM and gold is quoted at $1,225 then we would show a change of +25.00 at that time. This is the change in the price of the metal from the price at the end of the previous trading session. Currently, the weekday closing time is 2:00 PM Eastern Time. This is the change in the price of the metal from 30 days ago as opposed from the previous close. This is the change in the price of the metal from a year ago today, as opposed from the previous close. HOW IS THE LIVE SPOT GOLD PRICE CALCULATED? Every precious metals market has a corresponding benchmark price that is set on a daily basis. These benchmarks are used mostly for commercial contracts and producer agreements. These benchmarks are calculated partly from trading activity in the spot market. The spot price is determined from trading activity on Over-The-Counter (OTC) decentralized markets. An OTC is not a formal exchange and prices are negotiated directly between participants with most of the transaction taking place electronically. Although these aren’t regulated, financial institutions play an important role, acting as market makers, providing a bid and ask price in the spot market. I'VE HEARD THAT GOLD TRADED 24/7 – IS THAT TRUE? IS THERE AN OPEN AND A CLOSE? Gold, actually trades 23 hours a day Sunday through Friday. Most OTC markets overlap each other; there is a one-hour period between 5 p.m. and 6 p.m. eastern time where no market is actively trading. However, despite this one hour close, because spot is traded on OTC markets, there are no official opening or closing prices. For larger transactions, most precious metals traders will use a benchmark price that is taken at specific periods during the trading day. 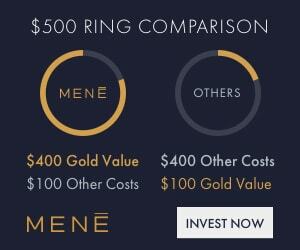 WHAT IS THE BID PRICE FOR GOLD? The bid price is the highest price someone is willing to pay for an ounce of gold. WHAT IS THE ASK PRICE FOR GOLD? The ask price is the lowest price someone is willing to sell an ounce of gold. 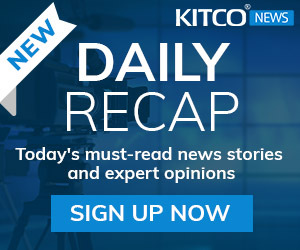 WHAT DOES THE SPREAD MEAN FOR THE GOLD PRICE PER OUNCE TODAY? The spread is the price difference between the bid and the ask price. Both gold and silver are fairly liquid markets so traders can expect to see a fairly narrow spread in these markets; however, other precious metals may have wider spreads, reflecting a more illiquid marketplace. Because there is no official closing or opening price for gold or silver, market participants rely on benchmark prices, set during different times of the day by different organizations. These benchmarks are also referred to as fixings. The London Bullion Market Association (LBMA) is the leading organization that is responsible for maintaining benchmarks for all precious metals. The LBMA Gold Price, the LBMA Silver Price, and the LBMA PGM Price are the widely accepted benchmarks in the precious metals space. 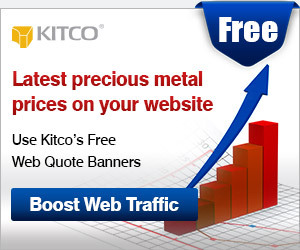 Kitco.com also provides a variety of benchmark prices for gold and silver. The benchmark price is determined twice daily in an electronic auction between participating banks with the LBMA, which is administered by ICE Benchmark Administration. For almost 100 years, the main gold benchmark price was set by the London Gold Fix. The price was determined in a closed physical auction among bullion banks. A price is determined after most buy orders matched most sell orders. These auctions would take place twice daily, once in the morning and once in the afternoon in London, England. However, the London Gold Fix shut down in 2015 and the responsibility for maintaining the process fell to the LBMA, which created the LBMA Gold Price on March 2015. The association shifted the price matching mechanism from a physical auction to an open electronic auction among its members. The benchmark is still set twice a day at 10:30 a.m. and then at 3 p.m. London time. There are thirteen participating banks, including the Bank of China, Bank of Communications, China Construction Bank, Goldman Sachs International, HSBC Bank USA NA, ICBC Standard Bank, JP Morgan, Morgan Stanley, Société Générale, Standard Chartered, The Bank of Nova Scotia - ScotiaMocatta, The Toronto Dominion Bank and UBS. Launched in 2016, the benchmark price mechanism in China is known as the Shanghai Gold Benchmark price. The price setting follows the same process as the London Gold Price in that the price is set twice daily. However, it is denominated in yuan (or renminbi) rather than U.S. dollars. The price is also derived from a 1-kg contract. The benchmark is listed on the Shanghai Gold Exchange. ARE THE GOLD PRICES PER OUNCE THE SAME AROUND THE GLOBE? One troy ounce of gold is the same around the world and for larger transaction are usually priced in U.S. dollars as that is the most active market; however, the value of an ounce of gold can be higher or lower based on the value of a nation’s currency. Traditionally, currencies that are stronger than the U.S. dollar have a lower value gold, price where currencies that are lower than the U.S. dollar have a higher prices. While gold is mostly quoted in ounces per U.S. dollar, OTC markets in other countries also offer other weight options. 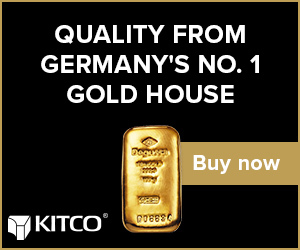 The Kitco Gold Index (KGX) is an exclusive feature that calculates the relative worth of one ounce of gold by removing the impact of the value of the U.S. dollar index. The Kitco Gold Index is the price of gold measured not in terms of U.S. Dollars, but rather in terms of the same weighted basket of currencies that determine the US Dollar Index®. Gold and most precious metals prices are quoted in troy ounces; however, countries that have adopted the metric system price gold in grams, kilograms and tonnes. Though not as popular as kilograms and grams, Tael is a weight measurement in China. The tola is a weight measurement in South Asia. WHAT IS THE DIFFERENCE BETWEEN AN OUNCE AND A TROY OUNCE WHEN LOOKING AT A GOLD CHART? A troy ounce is used specifically in the weighing and pricing of precious metals and its use dates back to the Roman Empire when currencies were valued in weight. The process was carried over to the British Empire where one pound sterling was worth one troy pound of silver. The U.S. Mint adopted the troy ounce system in 1828. A troy ounce is about slightly heavier than an imperial ounce by about 10%. An imperial ounce equals 28.35 grams, while a troy ounce is equal to 31.1 grams. While you can buy gold in any currency in the world, it is important to realize that ultimately everything is based on the value of the U.S. dollar. Given that the U.S. is the world’s biggest economy and one of the most stable, the dollar has become a reserve currency, meaning that it is held in significant quantities by other governments and major institutions. Reserve currencies are used to settle international transactions. Since the start of the 20th century, the U.S. dollar has been the dominant reserve currency around the world. 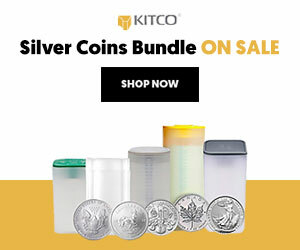 WHY ARE SILVER AND GOLD PRICES SO DIFFERENT? The reason gold and silver prices vary widely boils down to one simple fact: rarity. The less supply there is of a metal, the higher the price. Therefore, gold prices tend to be much higher than silver prices because it is much harder to get. The reason supply is much larger for silver is because it is an easier metal to mine and it is often mined as a by-product to other metals mining. The average occurrence of gold in igneous rock is 0.004 parts per million. 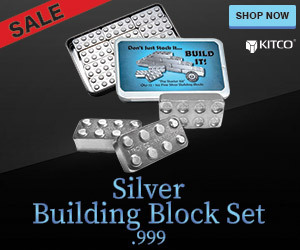 Silver shows up at a rate of 0.07 parts per million. WHAT IS THE PRICE OF THE GOLD AND SILVER RATIO? The gold-to-silver ratio shows you how many ounces of silver it would take to buy an ounce of gold. If the ratio is at 60 to 1, this means it would take 60 ounces of silver to buy one ounce of gold. Investors use the ratio to determine whether one of the metals is under or overvalued and thus if it is a good time to buy or sell a particular metal. When the ratio is high, it is widely thought that silver is the favored metal. When the ratio is low, the opposite is true and usually signals it is a good time to buy gold. Gold mining refers to the process of mining gold from the ground. There are several methods to extract gold from the ground including placer mining, panning, sluicing, dredging, hard rock mining and by-product mining. Although it is hard to pinpoint the exact date of when gold mining originated, some findings indicate it could date back to at least 7000 years ago. Right now, Barrick Gold, Goldcorp, Newmont Mining, Newcrest Mining and AngloGold Ashanti are among the world largest gold mining companies by market cap. The world’s dominant gold producers include South Africa, Australia, China, Russia, the United States, Canada, Peru and more. Founded in 1987, the World Gold Council (also known as the WGC) is the market development organization for the gold industry responsible for stimulating demand, developing innovative uses for gold and taking new products to the market. Based in the U.K., the WGC’s members include major gold mining companies. There are currently 17 members including Agnico Eagle, Barrick Gold, Goldcorp, China Gold, Kinross, Franco Nevada, Silver Wheaton, Yamana Gold and more. Based in London, the London Bullion Market Association (LBMA) is an international trade association, which represents the precious metals markets including gold, silver, platinum and palladium. It is not an exchange. Its current members include 140 companies made up of refiners, fabricator, traders, etc. The LBMA is responsible for setting the benchmark prices for gold and silver as well as for the PGMs. For the refining industry, the LBMA is also responsible for publishing the Good Delivery List, which is widely recognized as the benchmark standard for the quality of gold and silver bars around the world. SPDR Gold Shares – widely known as GLD – is the world’s largest gold-backed exchange-traded fund. Managed and marketed by State Street Global Advisors, it is valued at over $40 billion as of July 2016. It was launched in November 2004 and was originally listed on the New York Stock Exchange under the name streetTRACKS Gold Shares. Its name was changed to SPDR Gold Shares in May 2008 and has been trading on the NYSE Arca since December 2007. It also trades on the Hong Kong Stock Exchange, Singapore Stock Exchange and the Tokyo Stock Exchange. HOW DO CENTRAL BANKS INFLUENCE THE PRICE OF GOLD? A central bank is a national bank that implements monetary policies and issues currency for its respective country. It also provides financial and banking services for its country’s government and commercial banking system. This means a central bank can affect the amount of money supply in its country to help stimulate the economy if needed. The Federal Reserve is the United States’ central bank while Europe has the European Central Bank (ECB). Other central banks include the Bank of Japan, the Bank of England, People’s Bank of China, Deutsche Bundesbank in Germany, to name a few. Central banks are also responsible for managing its country’s reserves, including its foreign-exchange reserves, which consists of foreign banknotes, foreign bank deposits, foreign treasury bills, short and long-term foreign government securities, gold reserves, special drawing rights and International Monetary Fund reserve positions. WHAT MOVES THE GOLD MARKET? While gold is one of the top commodity markets, only behind crude oil, its price action doesn’t reflect traditional supply and demand fundamentals. The price of most commodities is usually determined by inventory levels and expected demand. Prices rise when inventories are low and demand is high; however, gold prices are impacted more by interest rates and currency fluctuations. Many analysts note that because of gold’s intrinsic value, it is seen more as a currency than a commodity, one of the reasons why gold is referred to as monetary metals. Gold is highly inversely correlated to the U.S. dollar and bond yields. When the U.S. dollar goes down along with interest rates, gold rallies. Gold is more driven by sentiment then traditional fundamentals. HOW DO INTEREST RATES MOVE THE PRICE OF GOLD? In simplest terms, interest rates represent the cost of borrowing money. The lower the interest rate, the cheaper it is to borrow money in that country’s currency. Rates have an impact on economic growth. Interest rates are a vital tool for central bankers in monetary policy decisions. A central bank can lower interest rates in order to stimulate the economy by allowing more people to borrow money and thus increase investment and consumption. Low interest rates weaken a nation’s currency and push down bond yields, both are positive factors for gold prices. Quantitative easing is a monetary policy tool used by central bankers in response to the 2008 financial crisis. The tool was first used in Japan but became a widely used term – punned QE – after former Federal Reserve chair Ben Bernanke introduced the concept in the U.S. in response to the fall of major investment bank Lehman Brothers. Bernanke purchased bad debt off other major commercial banks in order to prevent them from defaulting, while simultaneously increasing the money supply. Since then, other central banks have implemented this tool including the European Central Bank and the Bank of Japan. QE has risks including increasing inflation if too much money is created to purchase assets, or can fail if the money provided by central bankers to commercial banks doesn’t trickle down to businesses or the average consumer. Since ancient Egypt, gold has been thought of as a store of wealth. Historically, despite its volatility, gold traditionally performs well during periods of financial turbulence or economic weakness. To help stabilize an economy, a central bank will loosen its monetary policy or the government will introduce fiscal initiative, these measures can impact a nation’s currency and ultimately increase domestic gold demand. Investors buy gold when they lose confidence in their currency. Every major mint produces their own gold bullion coins and are extremely popular for investors who want to hold physical metal. While only government mints can produce gold coins with a monetary face value; however, the face value is well below a coin’s intrinsic value. Along with government mints there are a variety of private mints that produce similar products referred to as gold rounds. Of all government mints only the South African’s Krugerrand gold coin does not have a face value and its value is completely based on the global gold price. Here are the top five gold coins currently available. WHEN IS THE GOLD PRICE THE STRONGEST? It can be difficult to predict the next major rally in gold as it is strongly driven by sentiment. Gold does well in period of high uncertainty, a shifting inflationary environment and during periods of currency debasement; however, historically, there have been high and low seasonal period in the gold market. Historically, September is gold’s strongest month. Many western jeweler start to build their gold inventories during this time to prepare for the holiday season. The next strongest month is January, which traditionally sees strong buying among Eastern nations ahead of the Lunar New Year. The worst month has historically been March, April and then June.